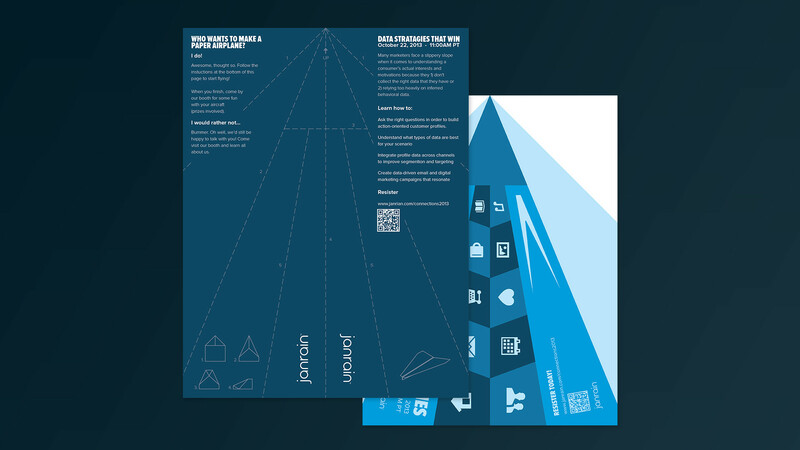 Developed to stand out from other event promos by putting an educational seminar invite onto a paper plane template. Folded or unfolded, the goal was to get people to read it before tossing it—(into the air, before the recycling bin). This event addressed the challenges that marketers face giving flight to the wealth of customer data available to them.